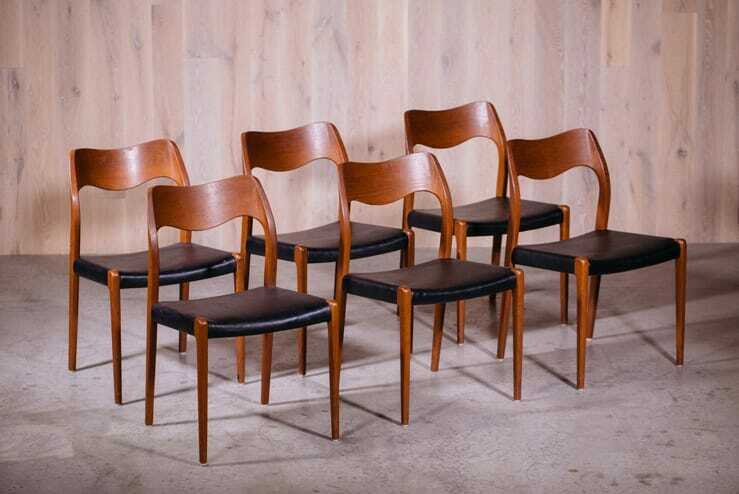 Set of six Model 71 dining chairs designed by Niels Otto Moller for J.L. Mollers Mobelfabrik. 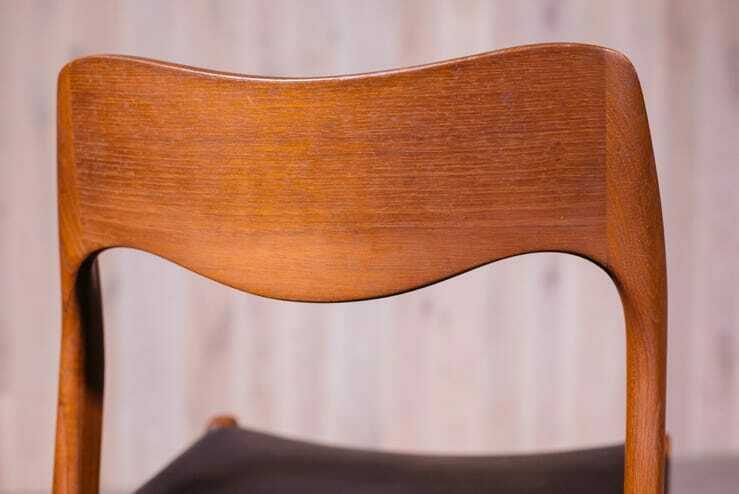 A simple silhouette with a softly sloping backrest and thin tapering legs. Teak frame with vinyl upholstery. Made in Denmark. After apprenticing as a cabinetmaker and studying at Arhaus School of Design, Niels Otto Moller founded J.L. Mollers Mobelfabrik in 1944. 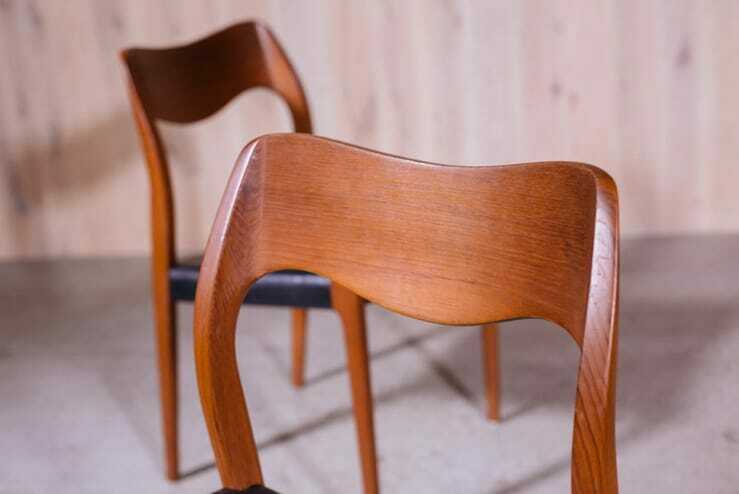 It remains one of the most prominent Danish furniture companies even today. Moller is known for creating sculptural organic forms with old craft traditions. He took an exacting approach and often took years to perfect a design.